Look out Millennials, Generation Z is gaining ground. This group of individuals — born between the mid-1990s and 2010 — are beginning to come of age, with the oldest members in their early twenties. And if they aren’t already, Gen Z will be the next slew of renters at your properties. Contributing about $44 billion to the American economy, the Gen Z population should definitely be a key focus in your marketing strategy. It is no longer efficient enough to list your apartment online or use traditional methods of marketing, as Generation Z has specific expectations for their new pad. From smart technology appliances to shared-space amenities, Gen Z is looking for more. But to understand how to attract these renters, you first must understand the differences between this generation and Millennials. Gen Z, often misconstrued as Millennials, make up about 26% of the United States population as compared with Millennials at 22%, according to Nielson’s Total Audience report. Growing up in the age of technology, Gen Z cannot comprehend a time before the digital age. Due to the rapid growth rate of technology, they are often less focused and have a shorter attention span as compared with Millennials and other age groups. Furthermore, Gen Z spend considerably less time accessing the internet via PCs as the vast majority of their time is spent on mobile devices. And with this technology at their fingertips, everything of interest to Generation Z is connected to social media. Marketing should therefore focus extensively on the most popular social media platforms, and continuously adapt as new ones gain in popularity. Generation Z are great multi-taskers, with the ability to juggle several social media platforms at once. However, this generation is prone to scroll quickly through those platforms, and responds best to concise, pointed, and attention-grabbing advertisements. For best results, focus your marketing efforts on videos and other visually appealing content. Bold graphics, vibrant colors, and playful fonts are great ways to capture a Gen Z renter’s attention. Videos can also prove beneficial by showing a targeted advertisement as long as you hone in on your core message quickly or risk losing interest. When marketing to Gen Z renters, it is important to consider what amenities they want and how to properly market those features. For example, Gen Z renters do not just want to access the internet via their computers and phones; they also prefer connected appliances such as smart thermostats that save money, and keyless locks for enhanced security. Similarly, cable internet services are not enough to attract this group. They expect wireless, fast reception. 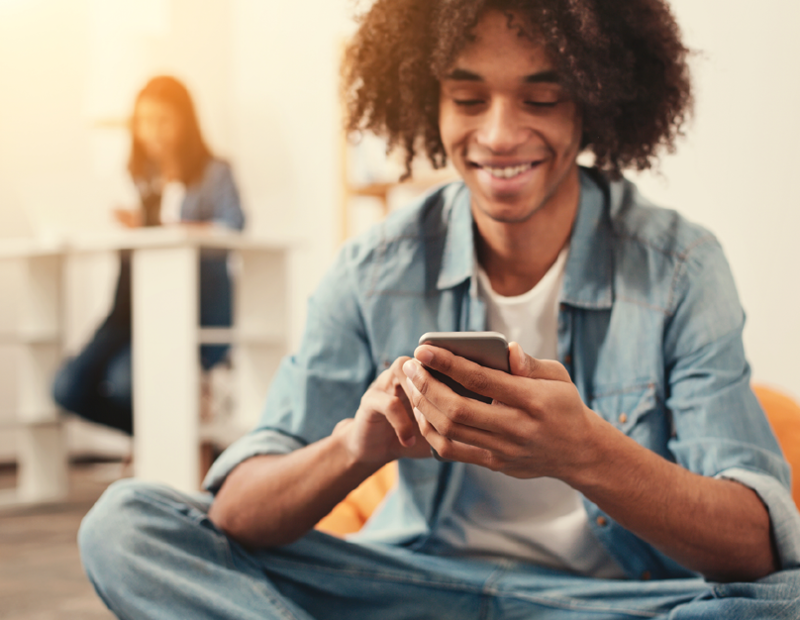 For Gen Z renters, consider focusing on advertising your property’s quick internet speed and reception that beats your competition. Additionally, this age group is prone to be less physically active than previous generations, so things like a swimming pool and fitness center may not be as appealing to them. You could instead focus your attention on advertising indoor and outdoor lounge spaces, community areas, and other shared amenities. Research shows that Gen Z renters are looking for common spaces to mingle with their neighbors. This group also tends to have a more entrepreneurial and networking mindset, which means coworking environments and convenient workspaces might be more attractive to them than a desk area in their own apartment. While Generation Z is attracted to visually appealing graphics and creative content, the most important thing to consider is that through these marketing media, they want to know where they will be living, what the accommodations are, and how the apartment will benefit their lifestyle. Efficiency and creativity are the foundation for attracting Gen Z renters with your marketing plan. 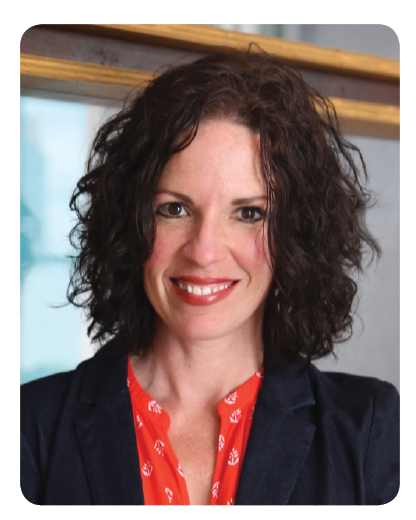 Ashley Tyndall is the Director of Corporate Communications for Criterion.B an agency focused on branding and inbound marketing for the commercial real estate industry.